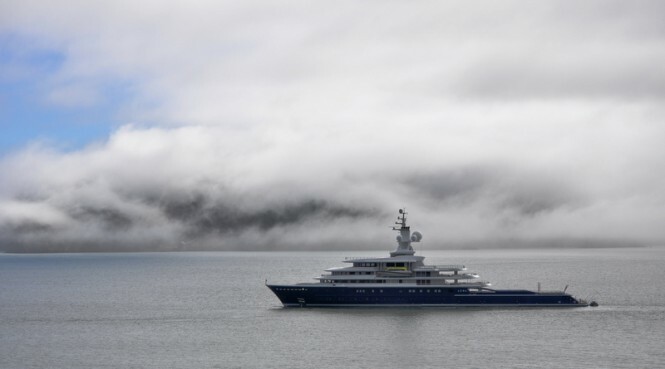 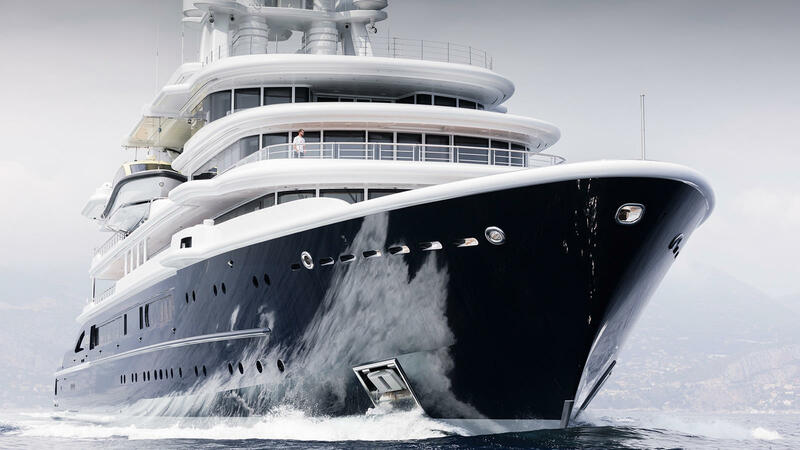 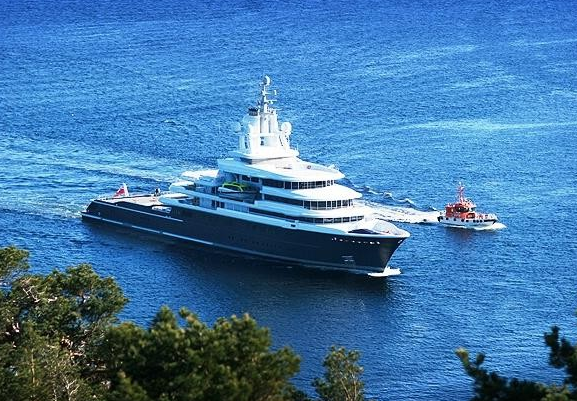 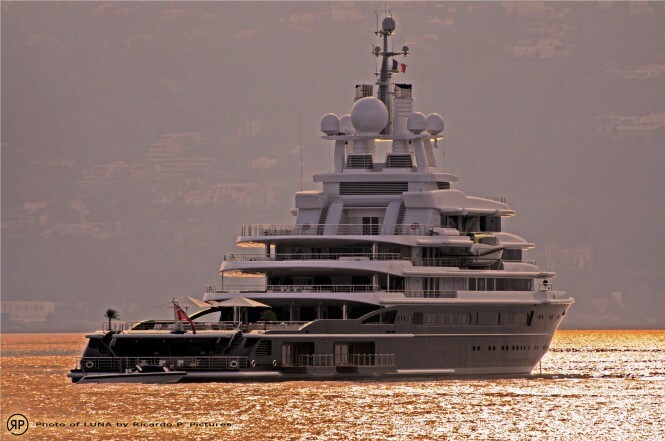 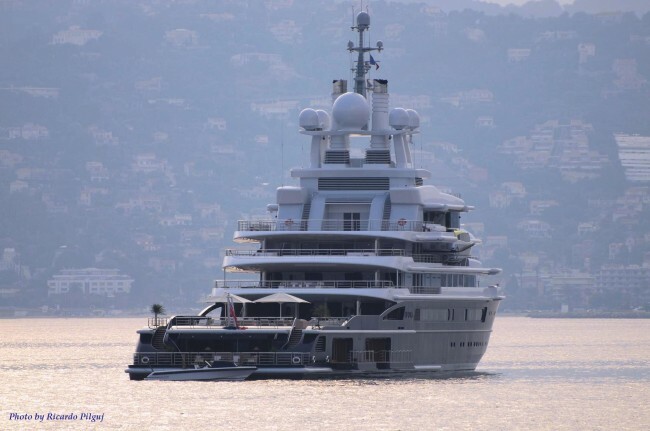 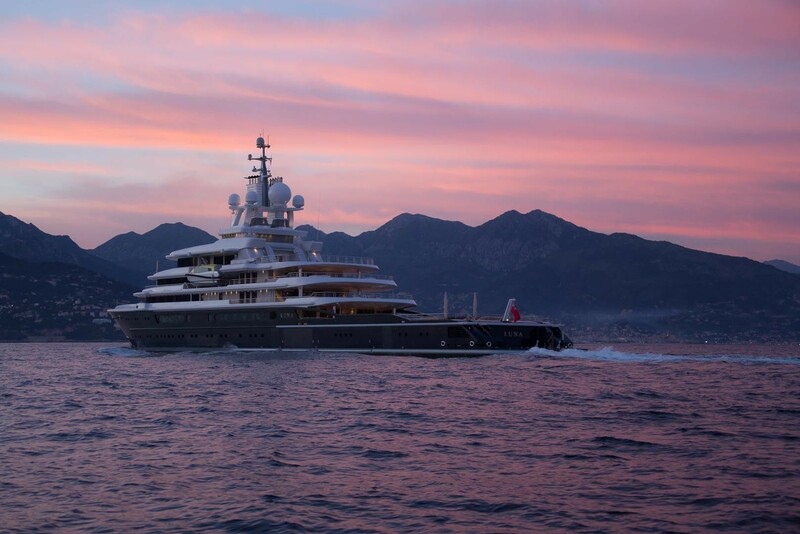 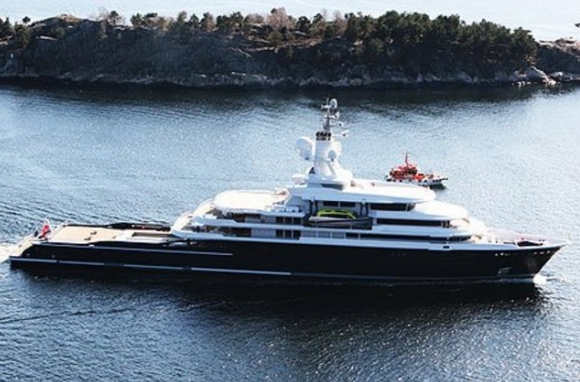 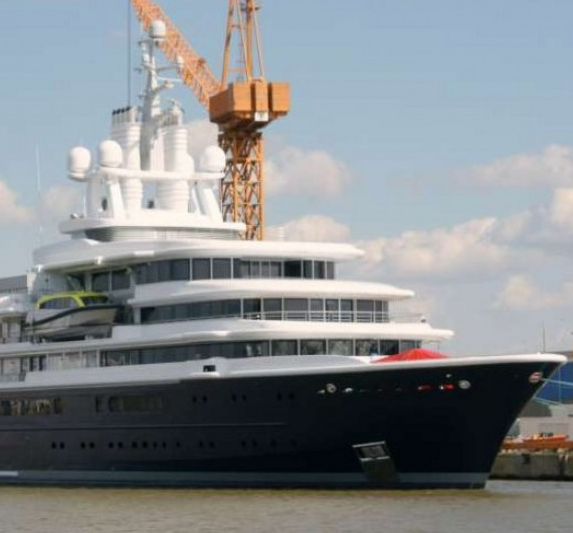 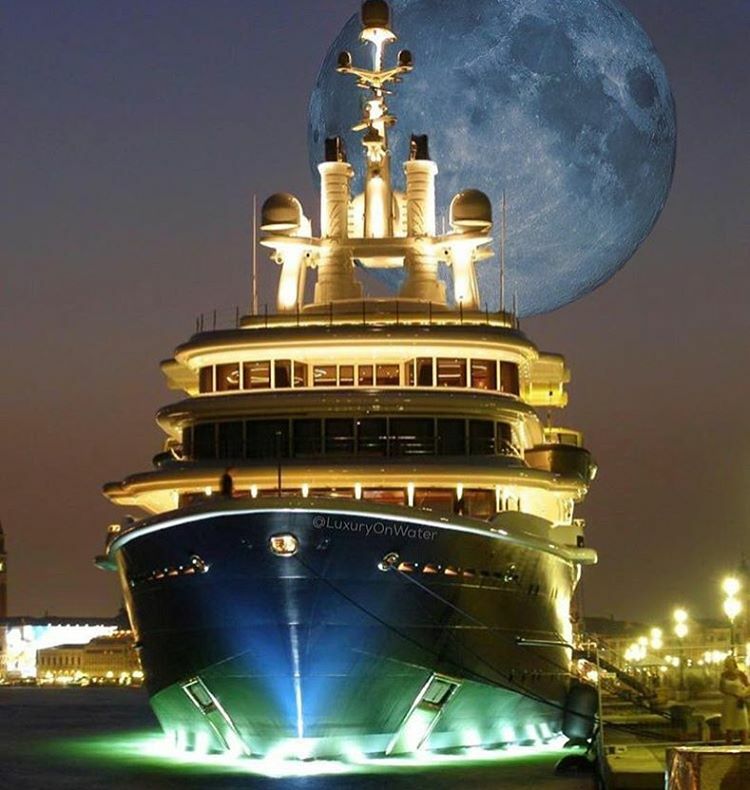 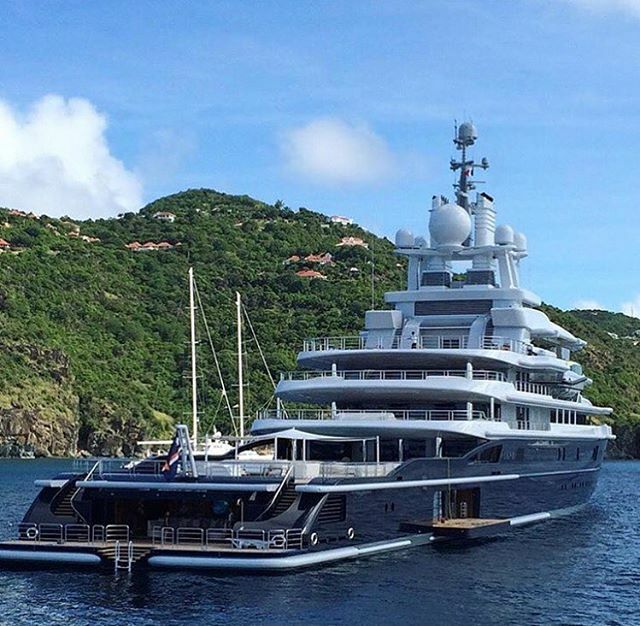 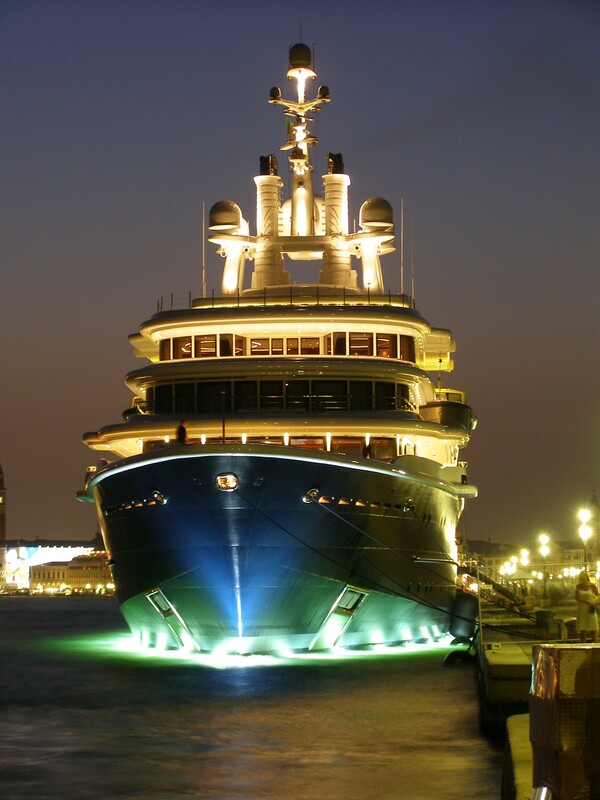 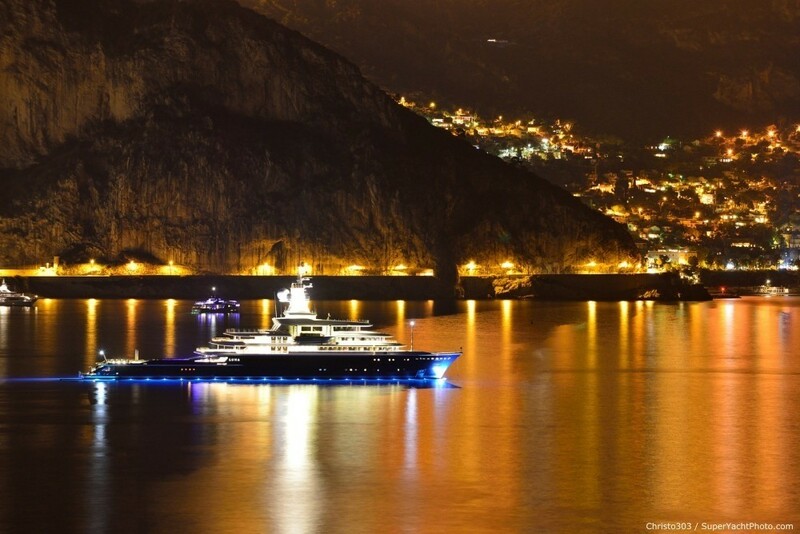 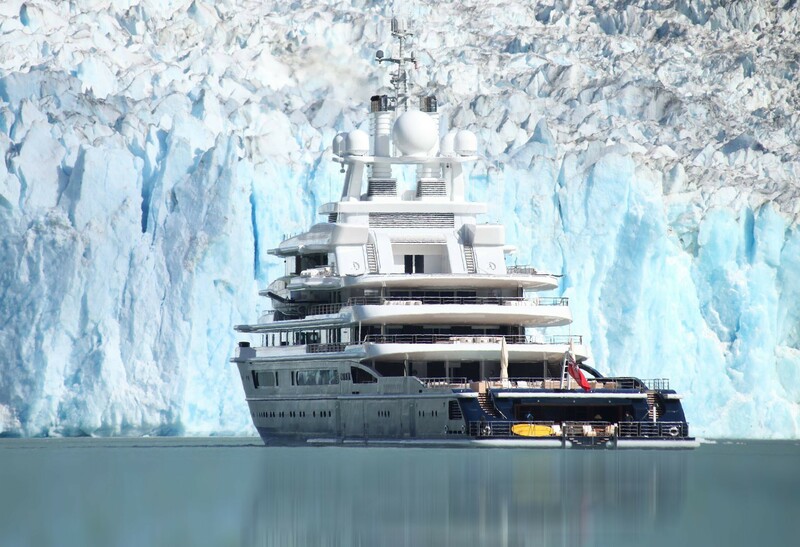 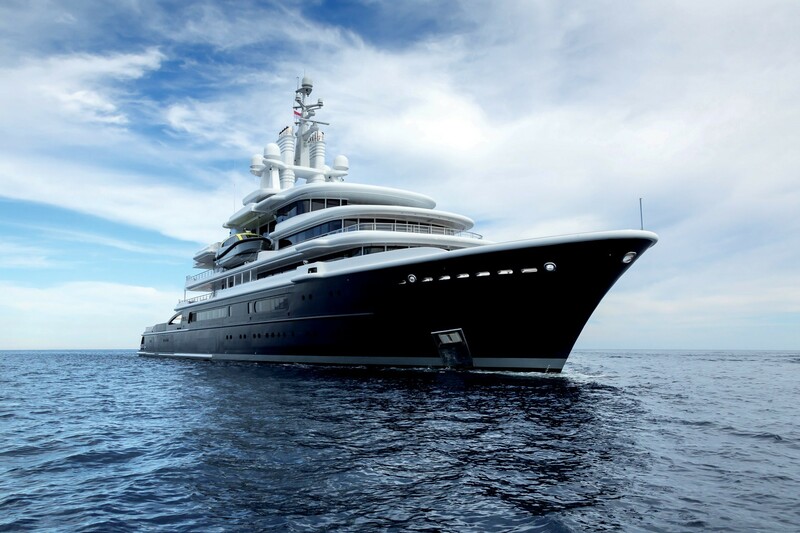 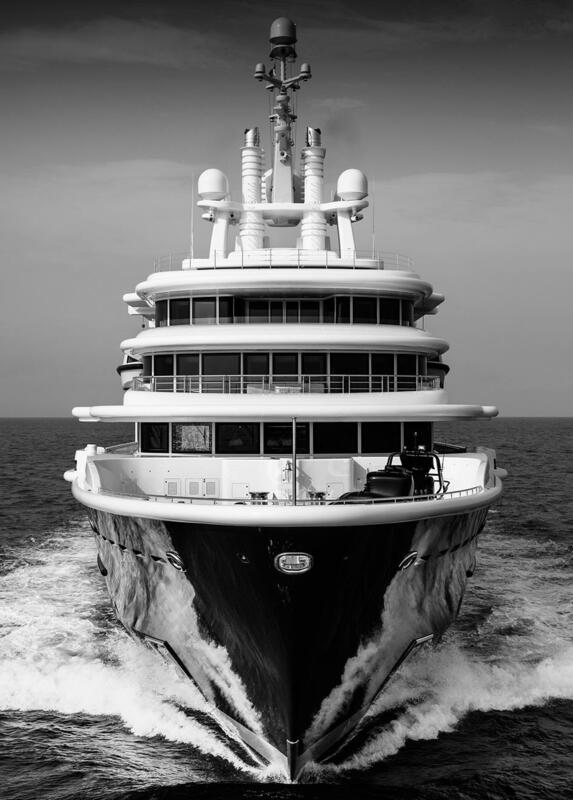 Measuring 115m, Super yacht LUNA was launched as the world's largest expedition yacht and was delivered in 2010. 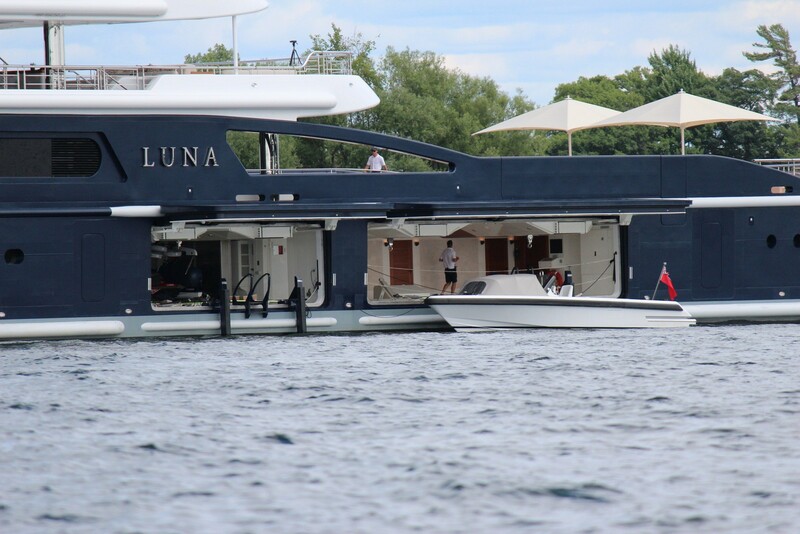 Motor Yacht LUNA hit the water in October 2009 by Lloyd Werft and Stahlbau Shipyard in Germany. 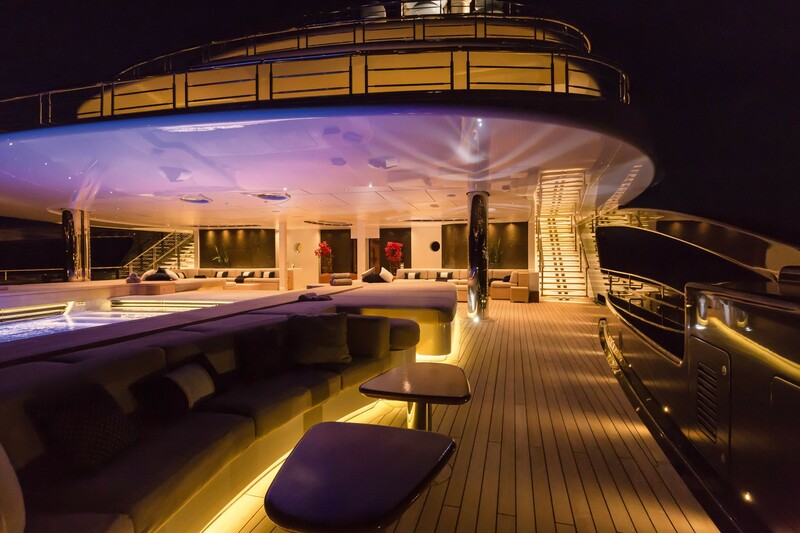 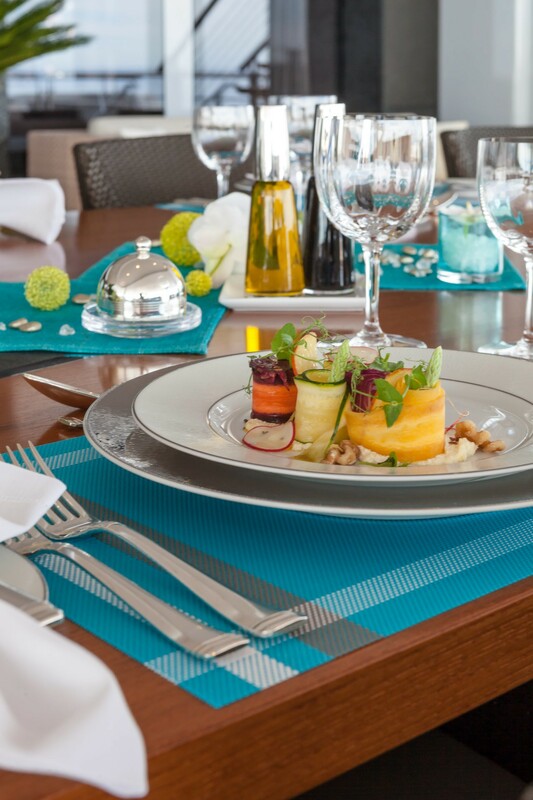 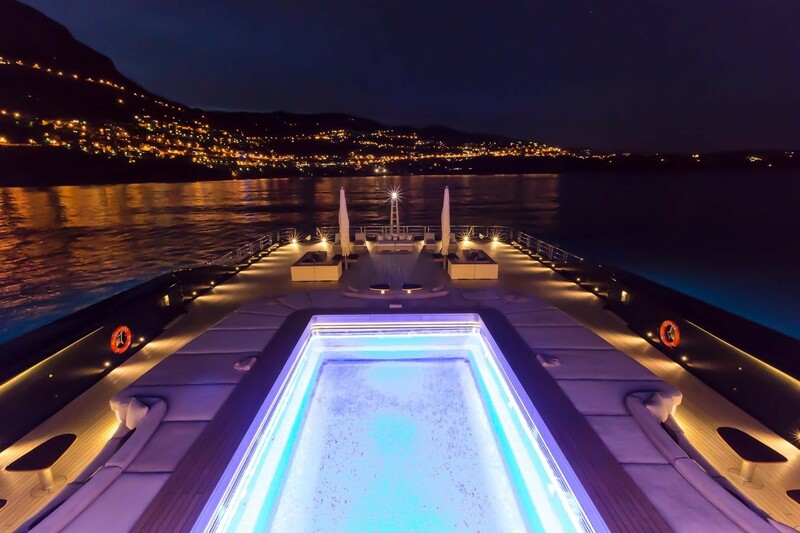 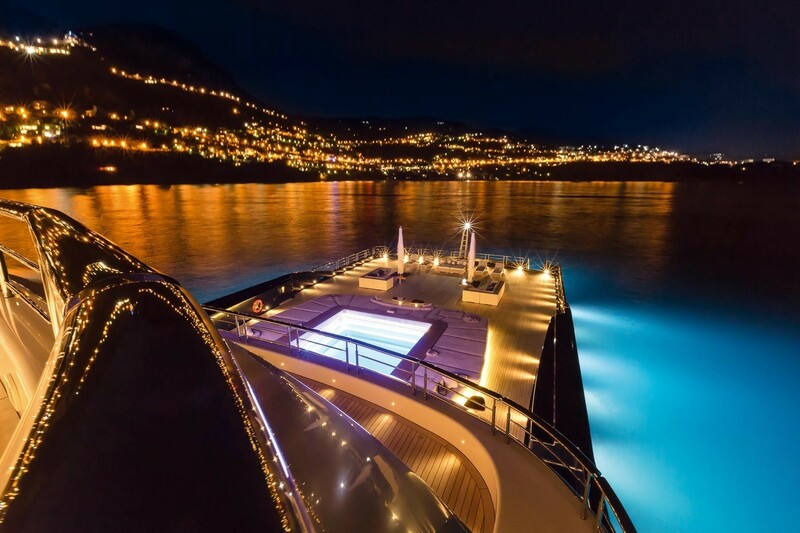 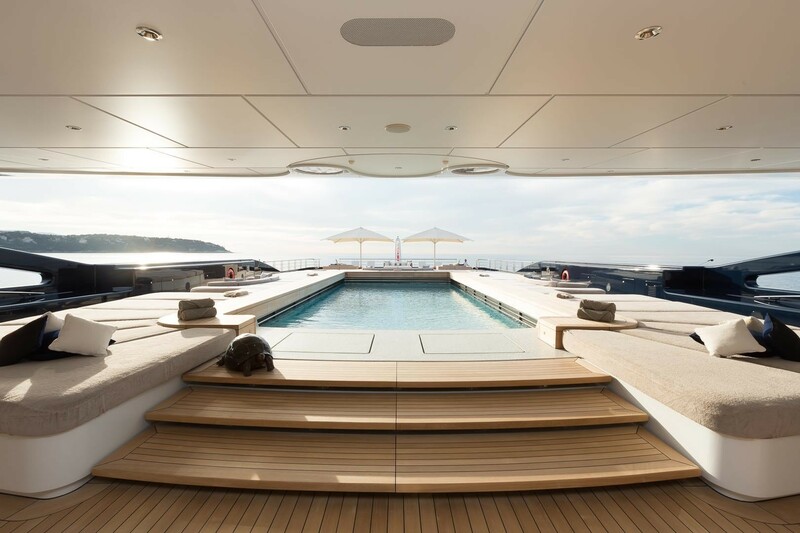 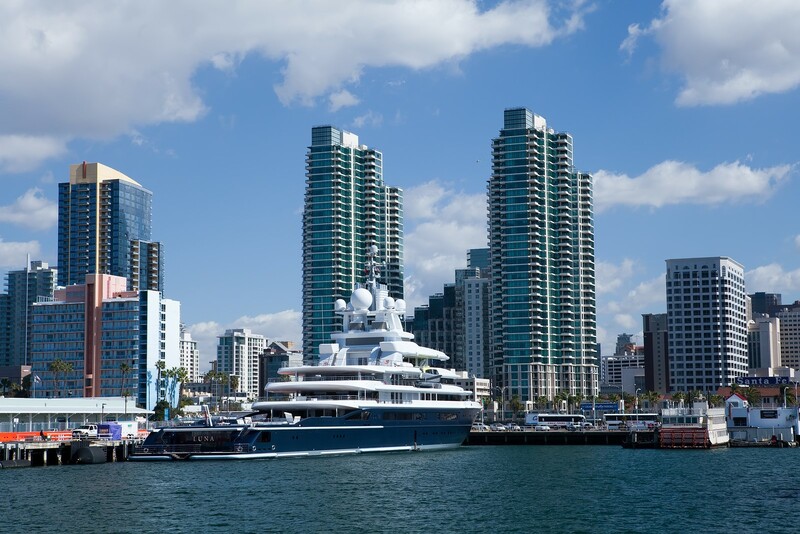 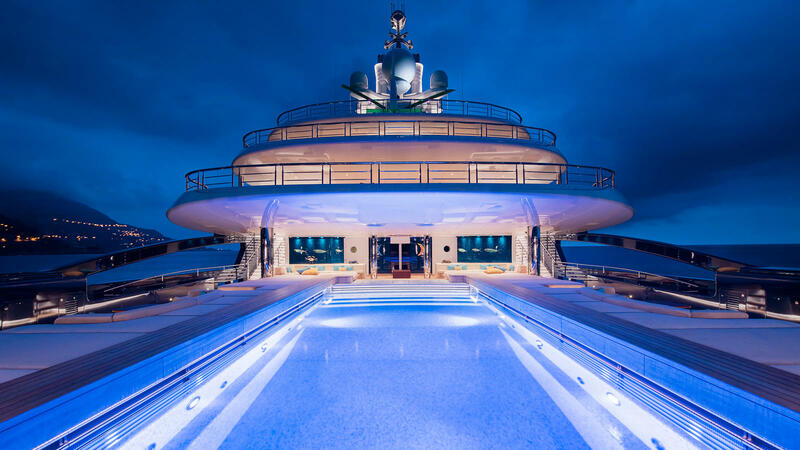 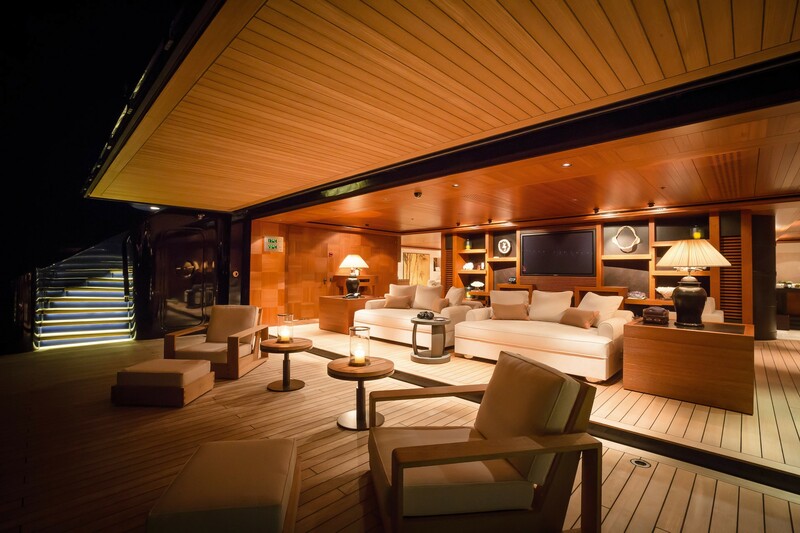 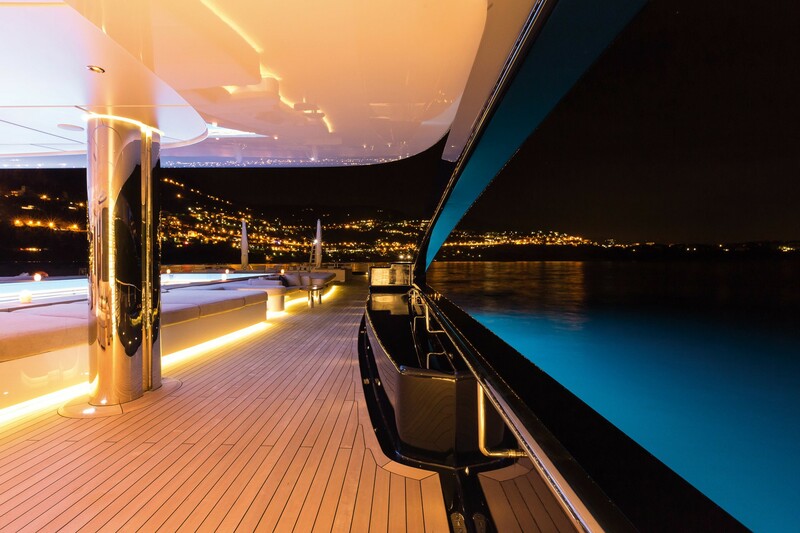 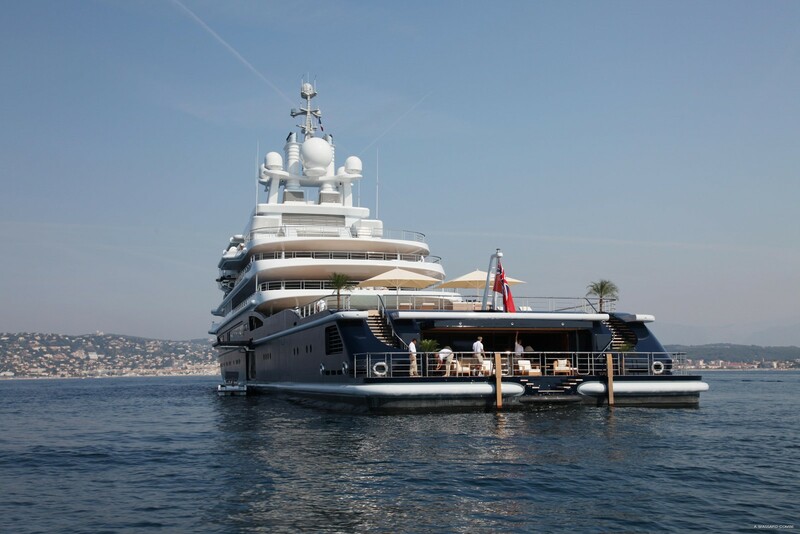 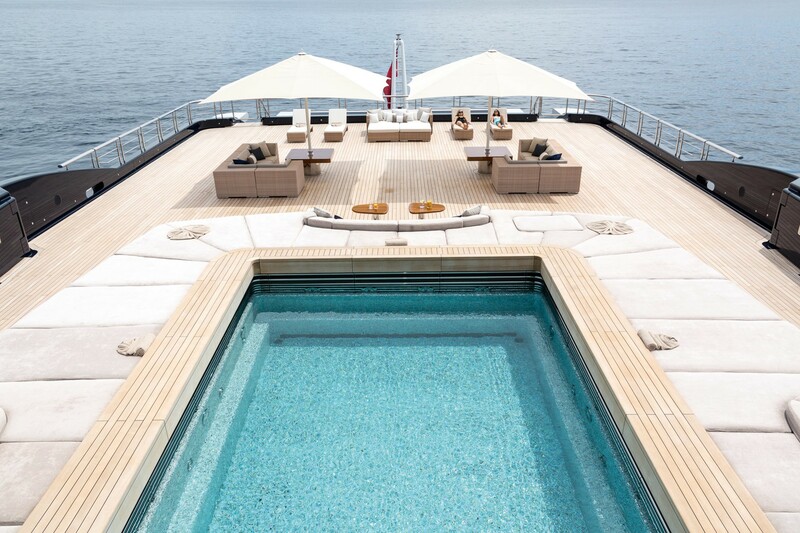 The Luxury yacht LUNA has an interior designed by the distinguished designer Donald Starkey. 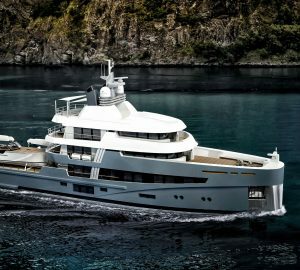 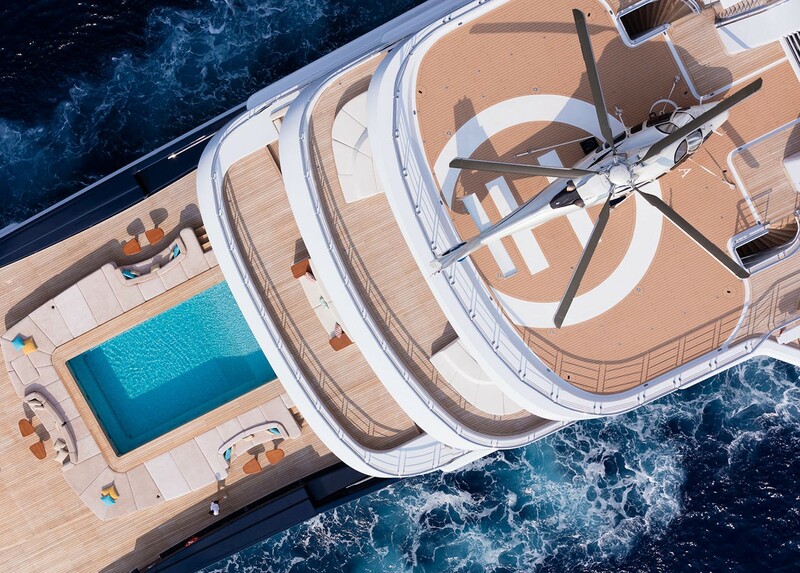 Her innovative exterior styling was designed by Newcruise Design, with main features including two helicopter pads facing forward and to the rear around the large communications tower. 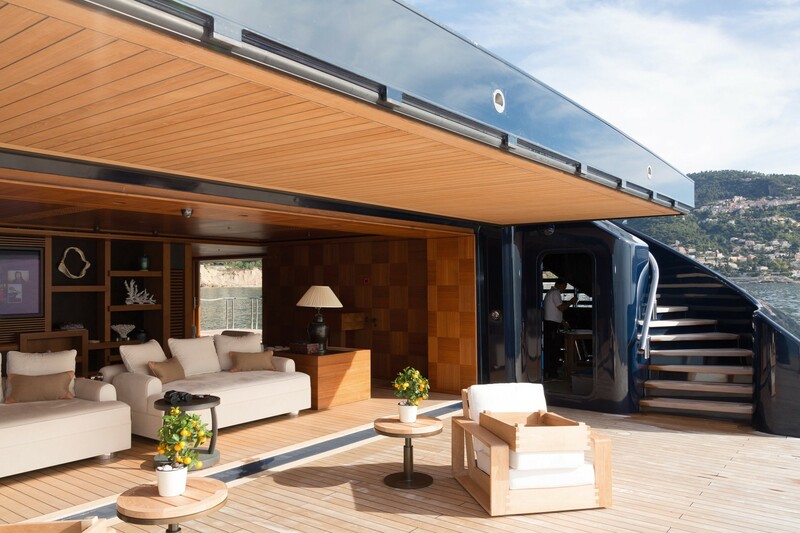 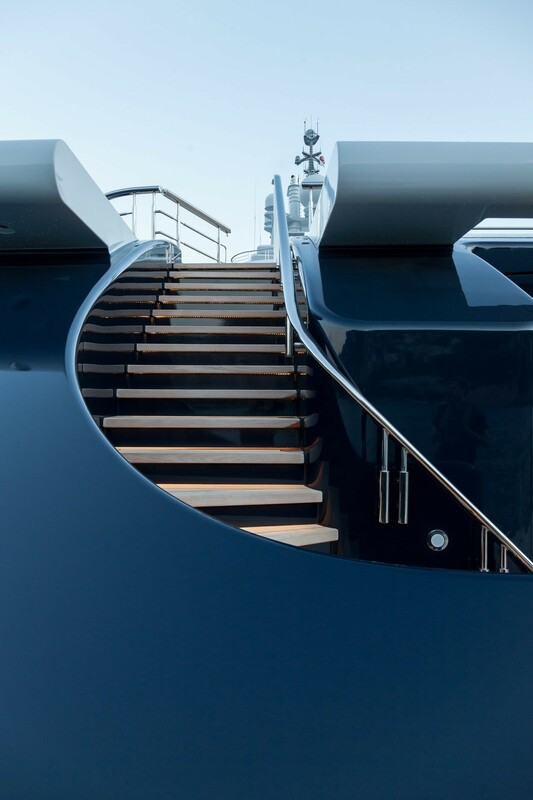 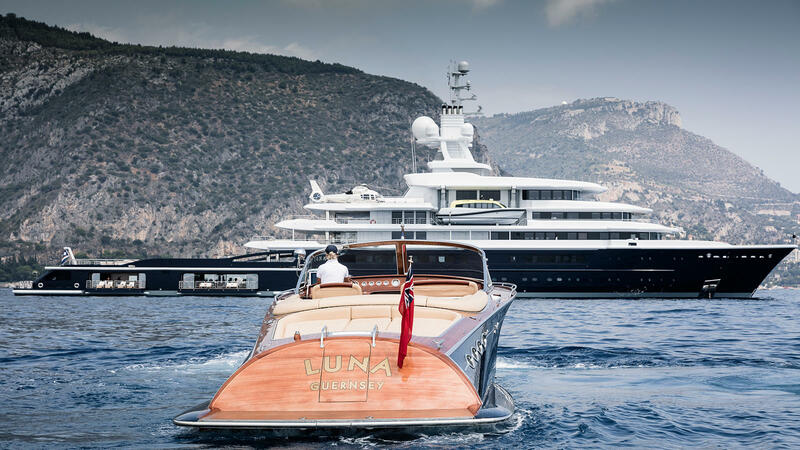 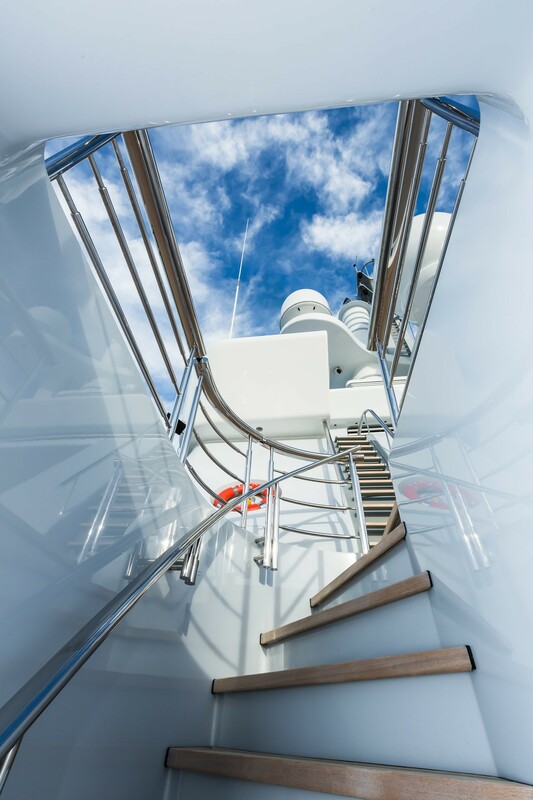 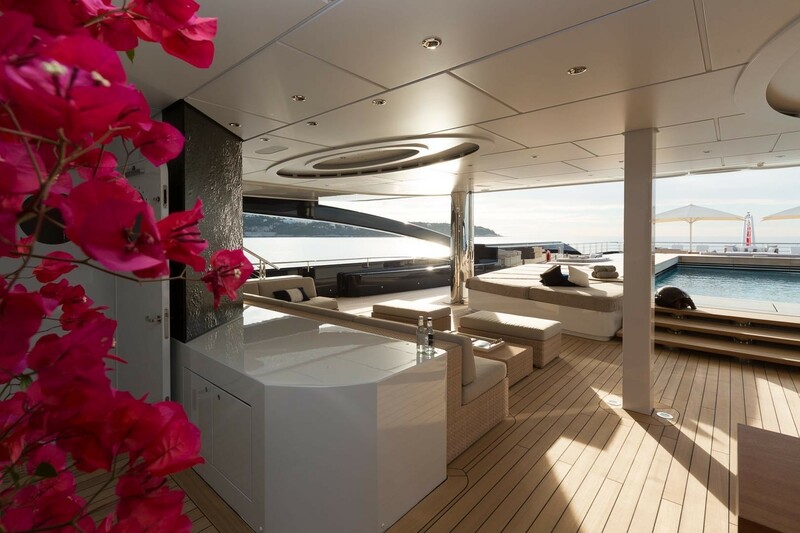 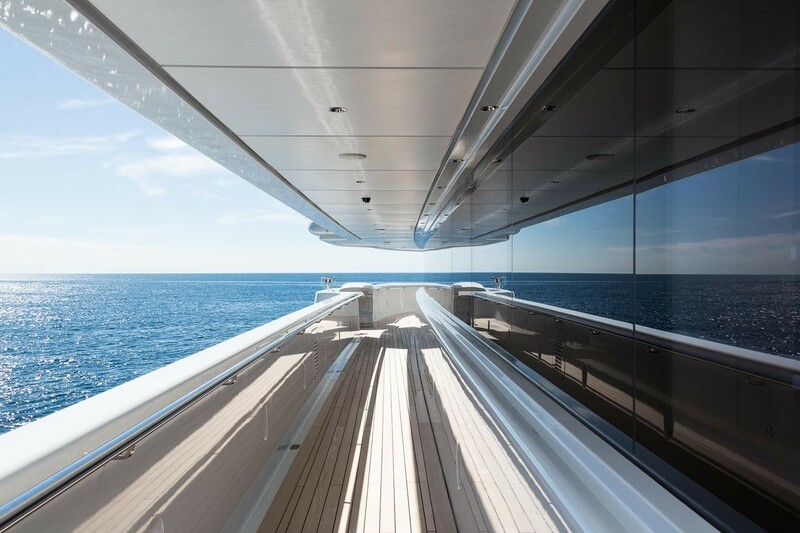 The Explorer Yacht LUNA also features transom doors at the sides, which lead directly to her high quality tenders. 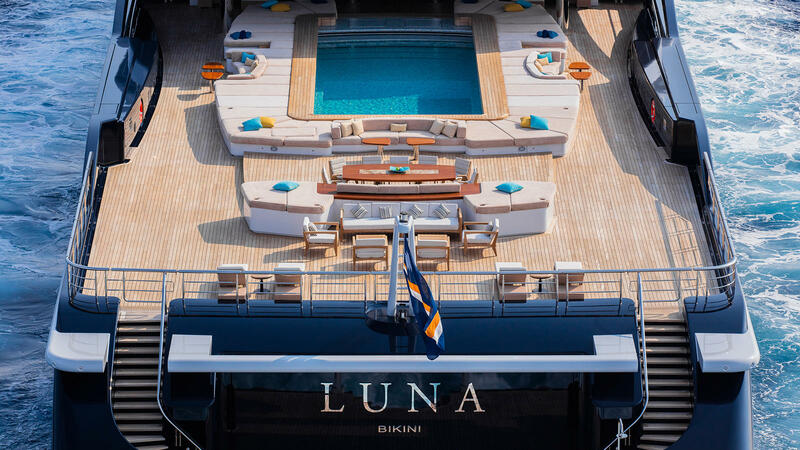 M/Y LUNA has an expansive open aft deck that boasts a covered swimming pool of 20 metres and sunbathing areas, with a dedicated open luxury leisure area boasting a large beach club leading down to the swim platform. 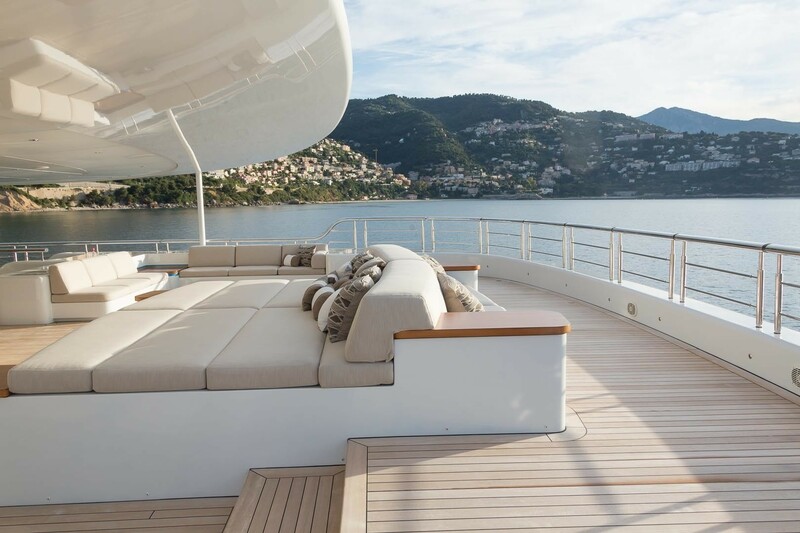 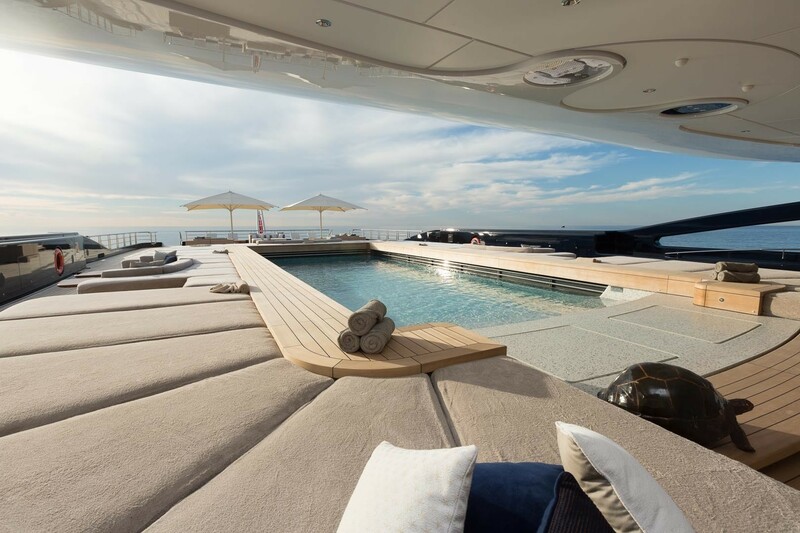 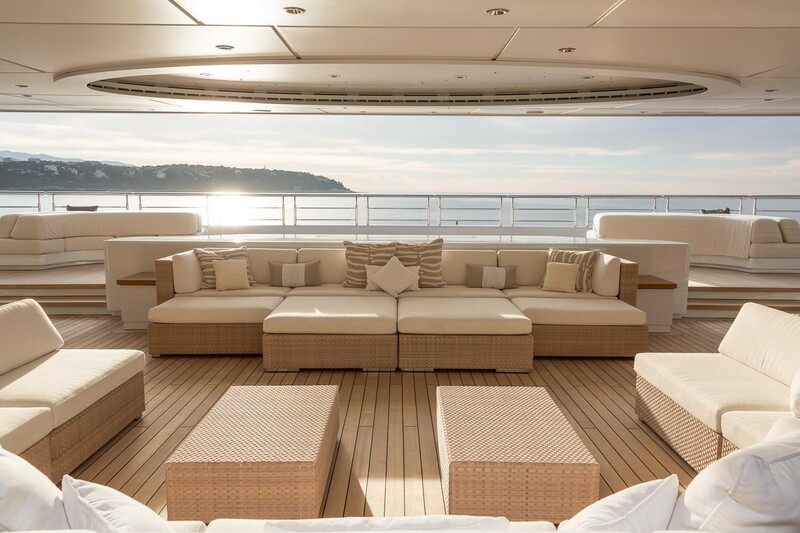 Ultra luxurious accommodation aboard 115m LUNA yacht is offered to 18 guests, featuring all the amenities one could expect from such an important vessel. 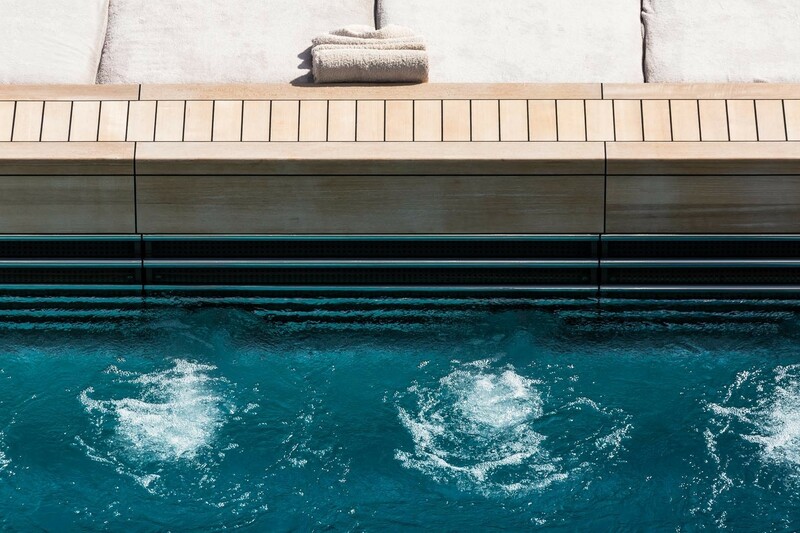 All of her nine suites, which are said to spread over 100 square metres each, boast deluxe en suite bathrooms with the highest quality amenities and fixtures. 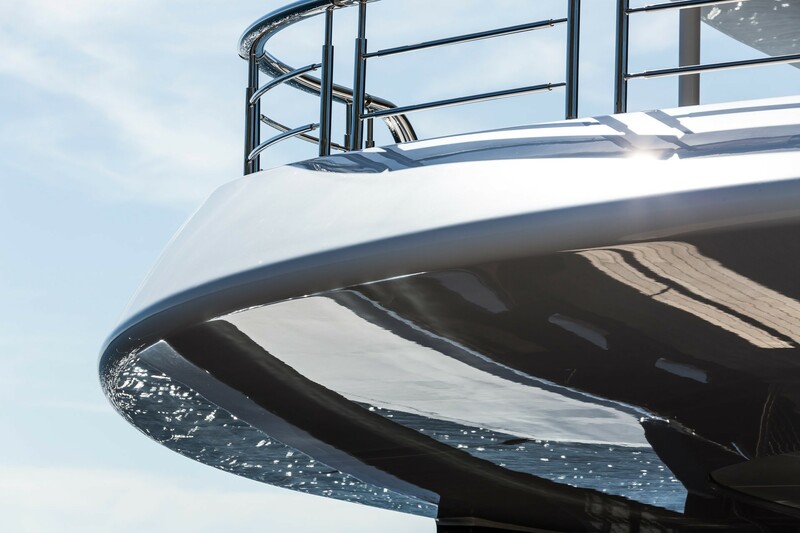 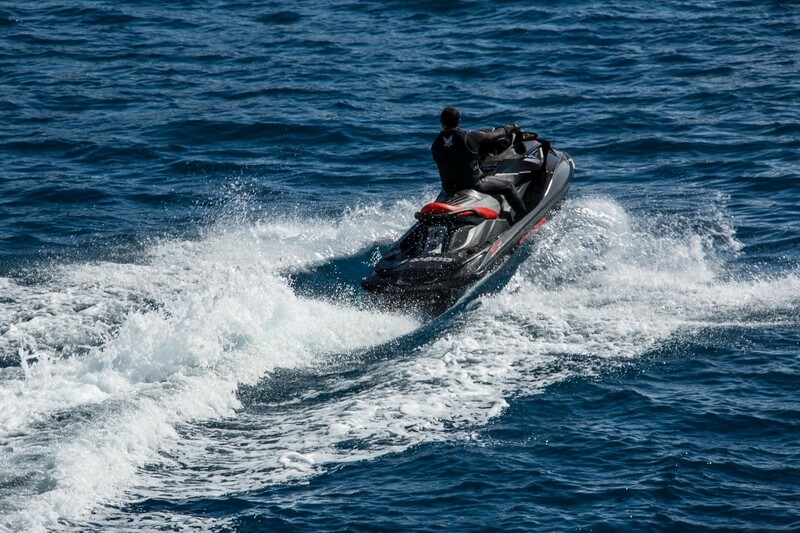 A crew of up to 50 extensively trained and professional members is there to ensure maximum guest comfort, impeccable attention to details, as well as ultimate safety at all times. 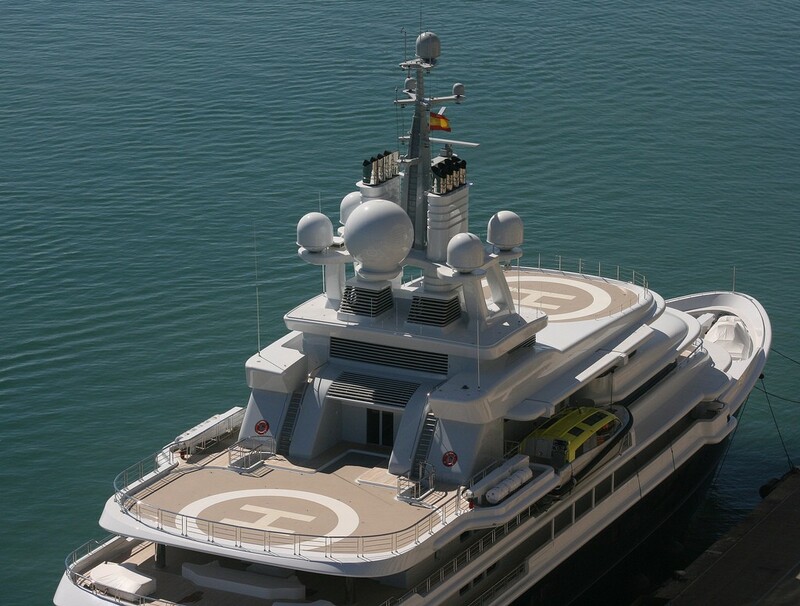 LUNA super yacht is also equipped with one mini-submarine and multipurpose lifeboat/limousines, capable of providing VIP transport service or serve as lifeboats at the same time. 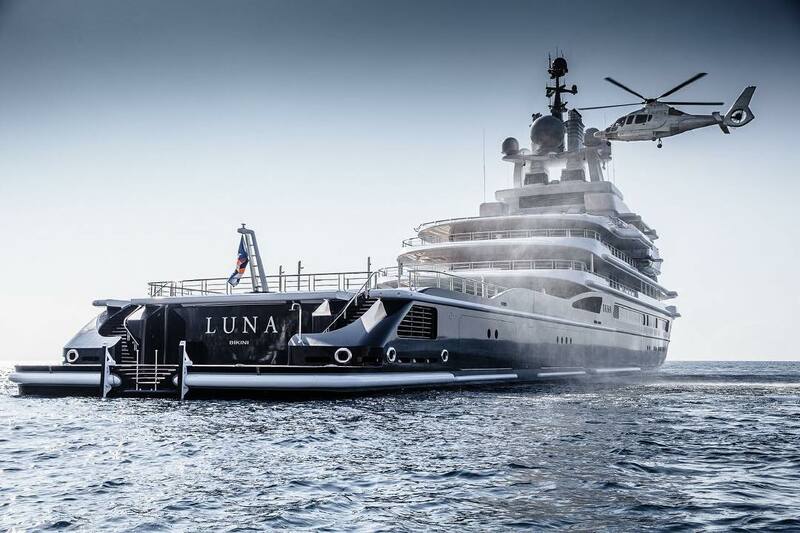 For additional comfort, LUNA was fitted with at-anchor zero-speed stabilisers. 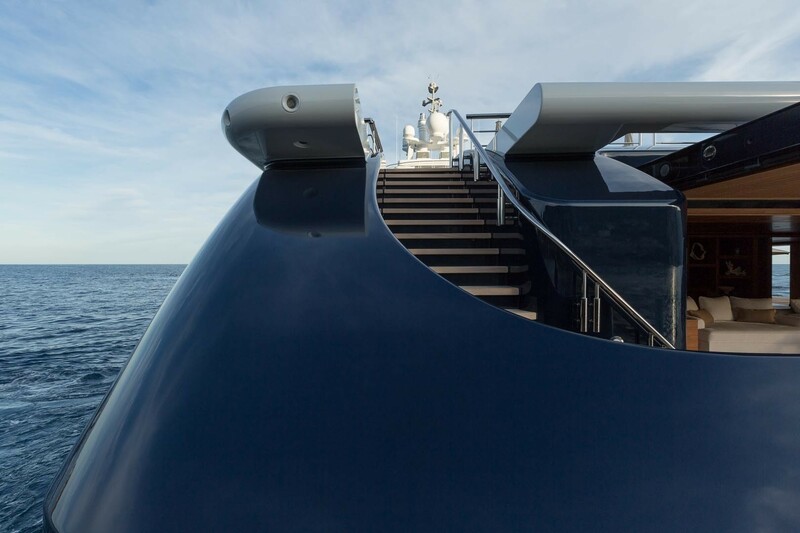 Six MTU diesel engines power this massive explorer yacht to a maximum speed of 22.5 knots, whereas her cruising speed is of 17 knots, with a range of impressive 9,000 nautical miles at 16-18 knots. 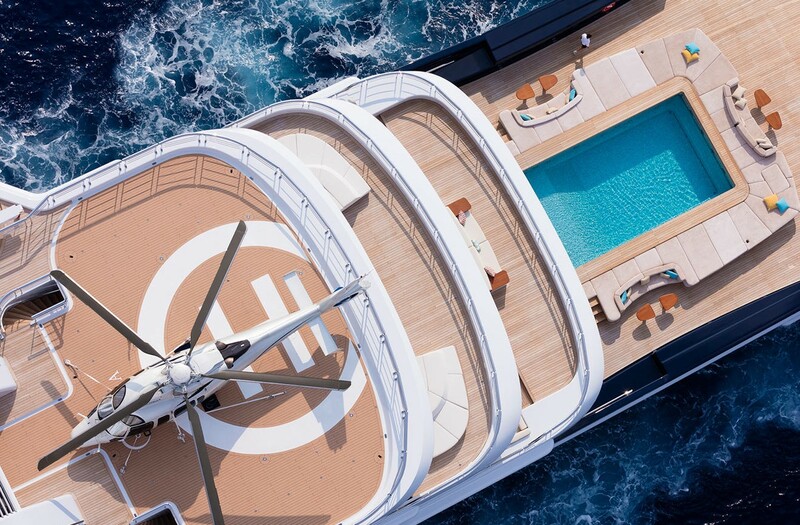 Mega Yacht LUNA is a truly exceptional expedition yacht allowing her owner to cruise great distances in pure luxury without needing to refuel, even while traversing rough seas. 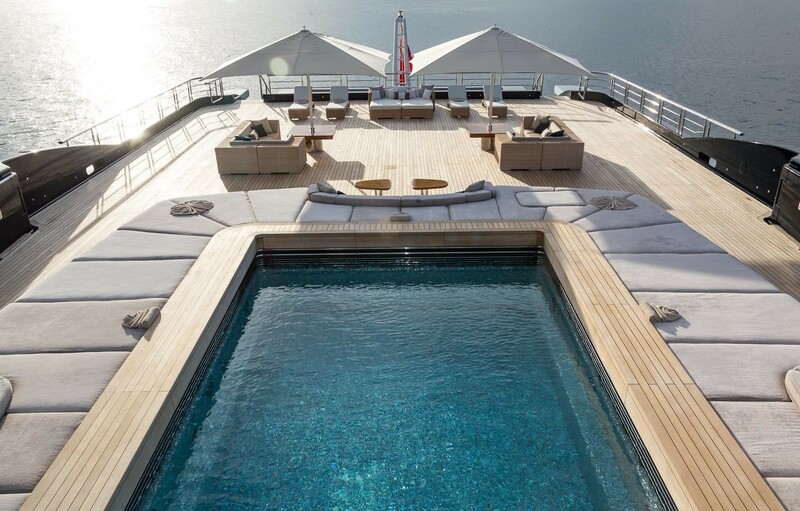 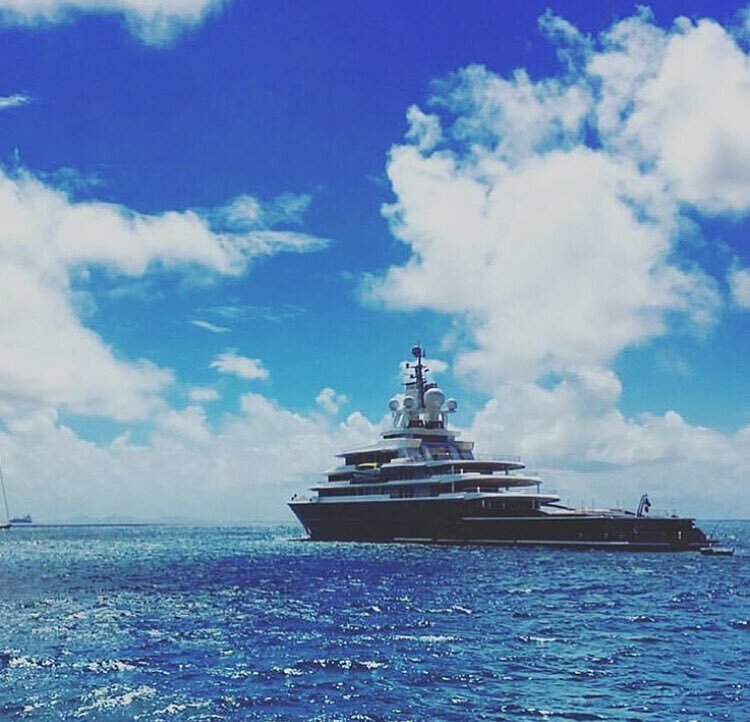 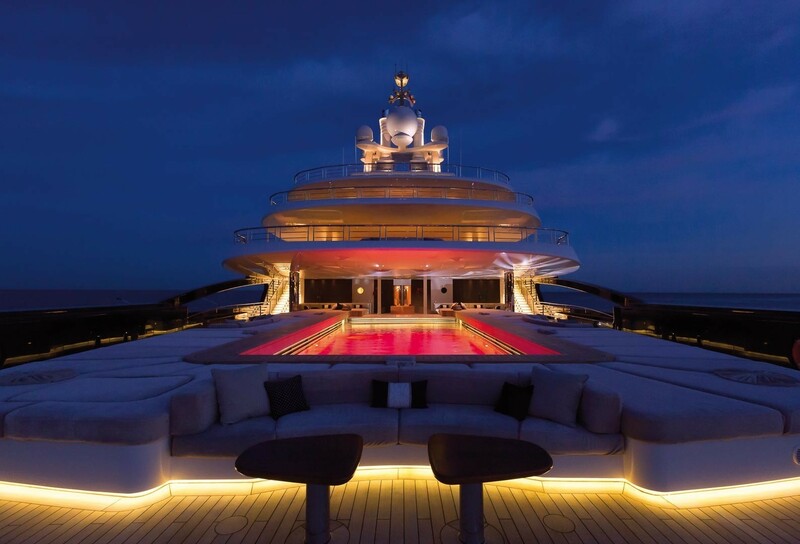 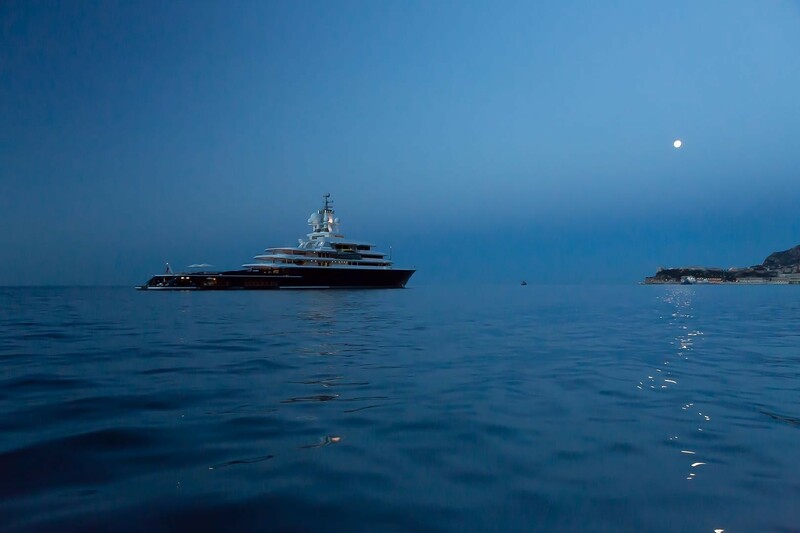 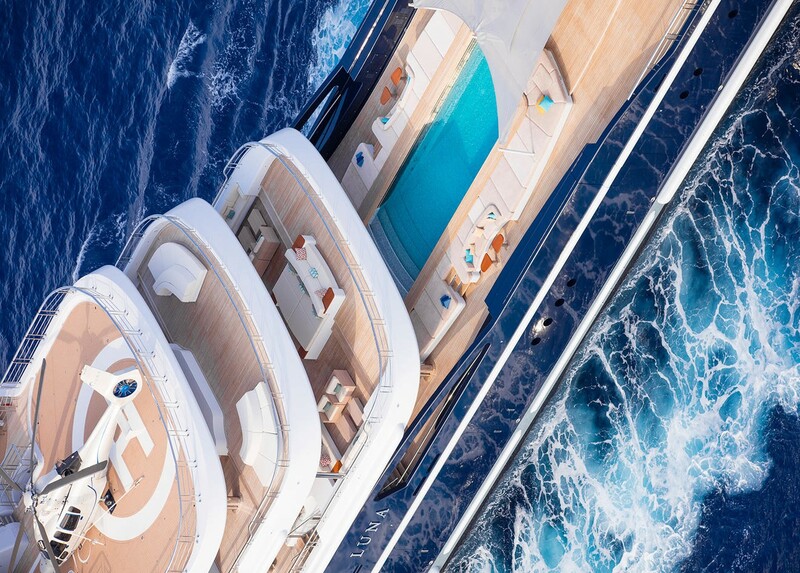 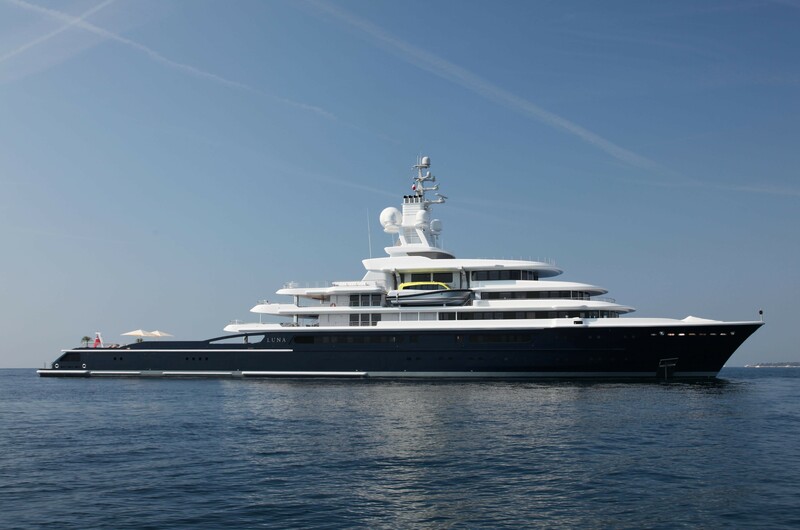 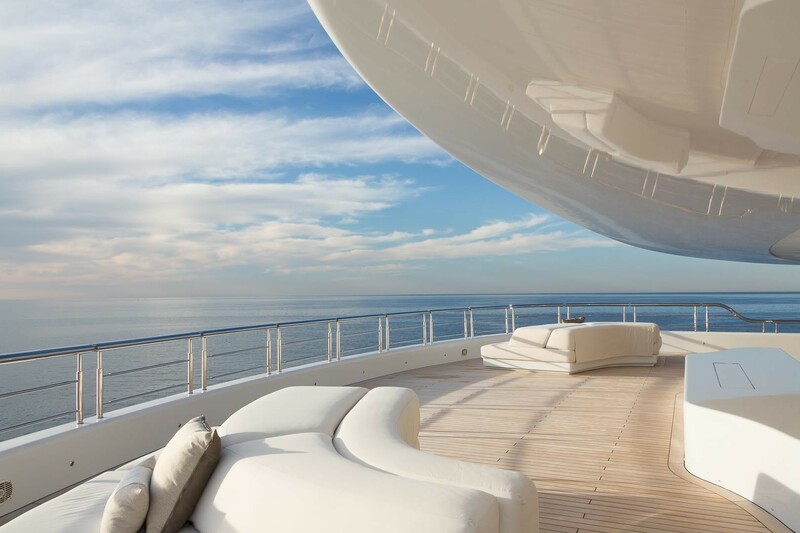 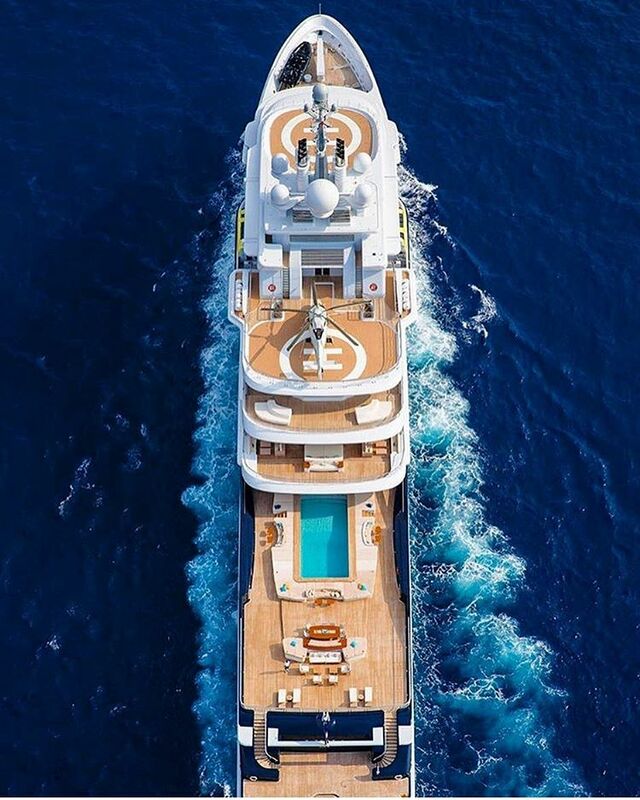 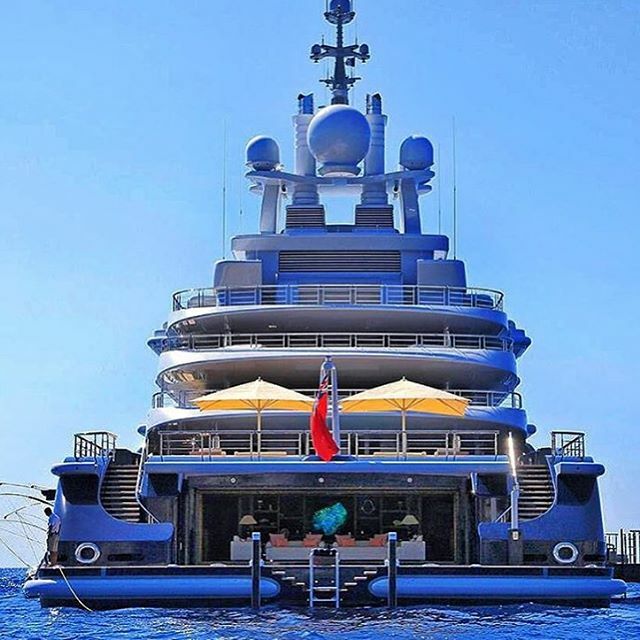 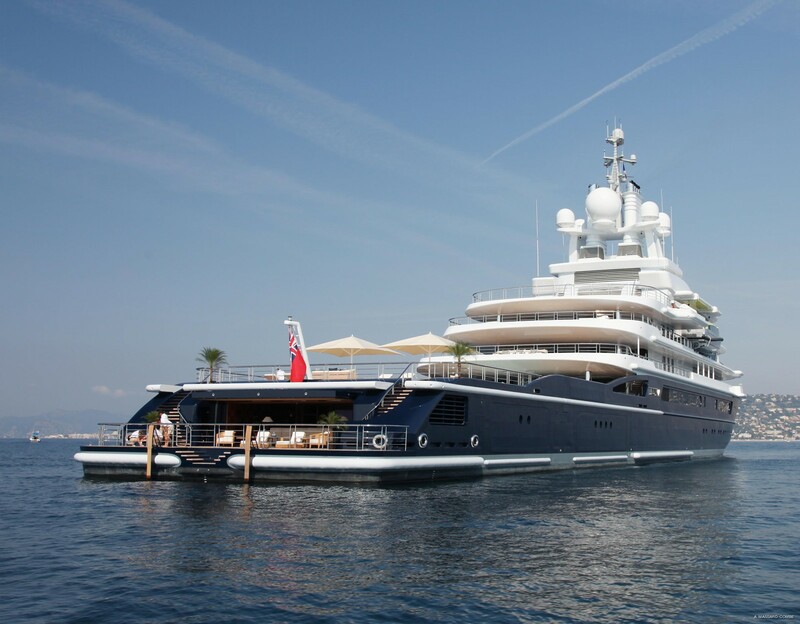 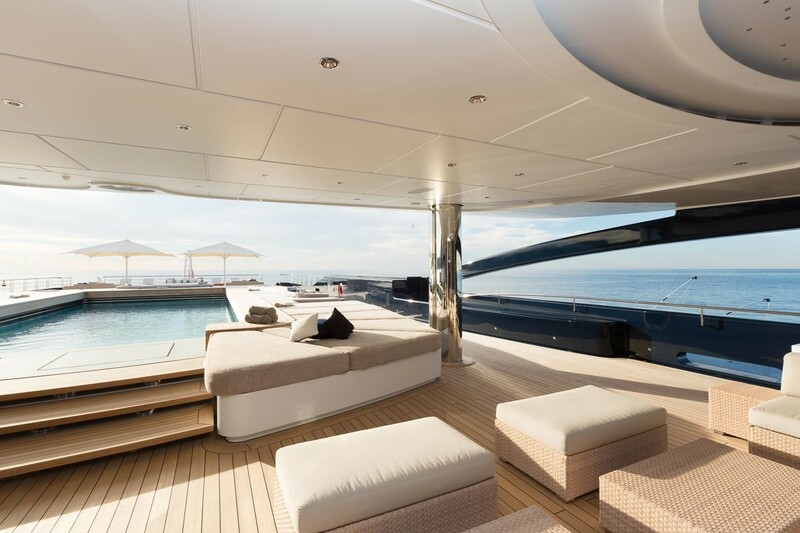 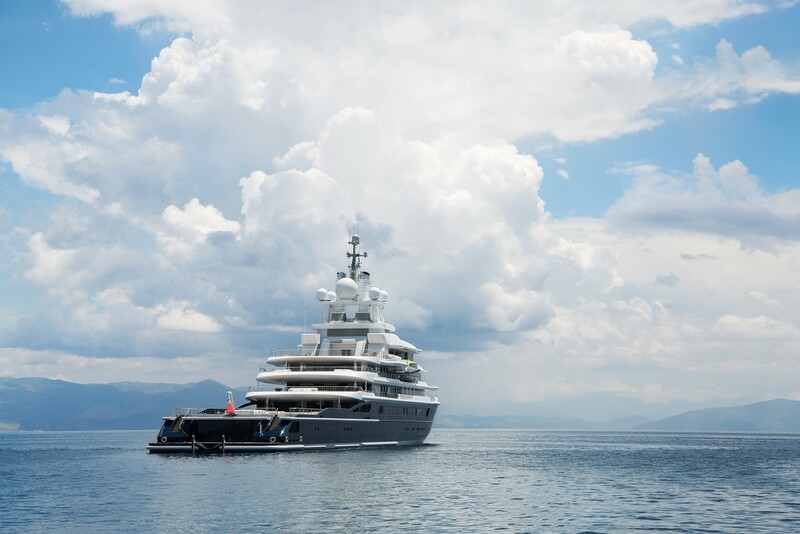 Accommodation aboard 115m mega yacht LUNA is provided in nine ultra-de luxe suites of more than 100 square metres each, to a maximum of 18 guests in total. 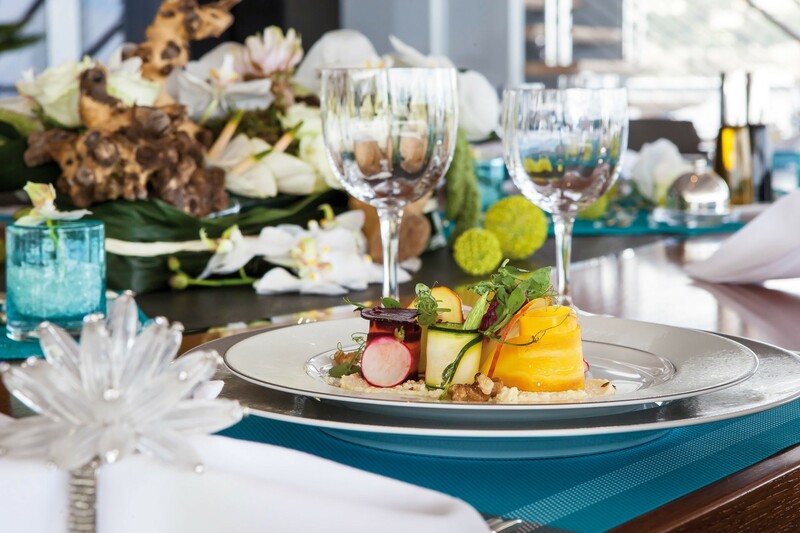 All suites feature the highest quality amenities, sumptuous furnishing and decor, as well as beautiful en suite bathrooms. 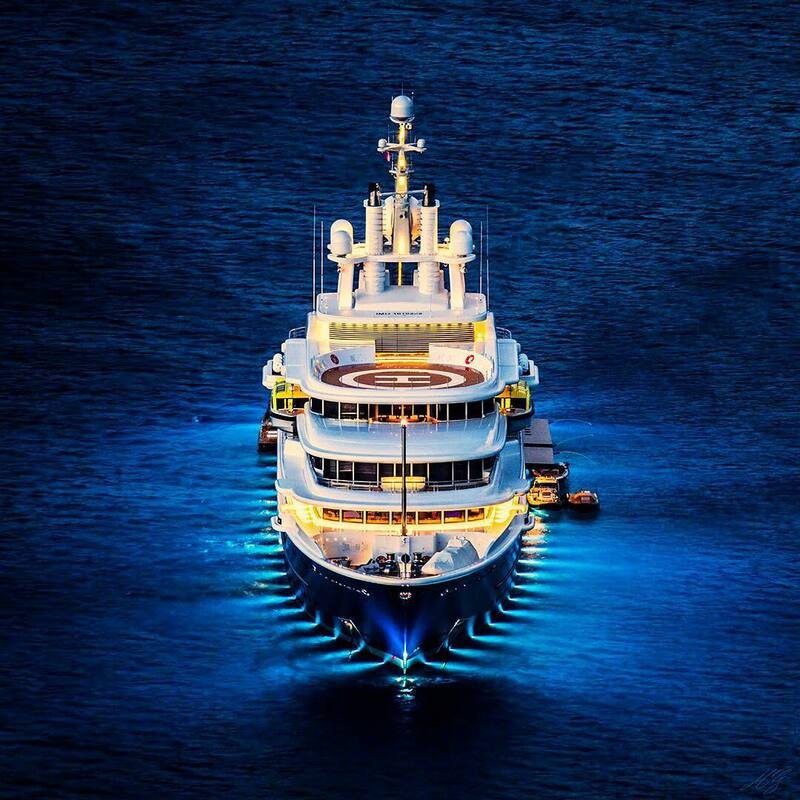 We do have available further amenity, owner and price information for the 115m (377' 4") yacht LUNA, so please enquire for more information.